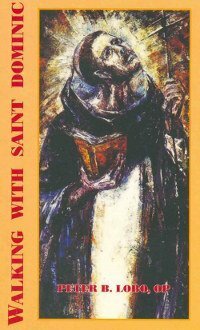 To walk with St. Dominic means to walk with Jesus, for St. Dominic teaches us how to walk in the footsteps of his Master. His genius lies in the way in which he brought together into a wonderful synthesis the two main facets of Jesus' life, namely, his contemplative union with his Father in quiet prayer and reflection and his untiring preaching of the Good News to bring healing and salvation to people. By Fr. Peter Lobo, O.P.